Festival “hump” day is typically brutal, with those who were working Friday completely available to stream in for Saturday and hard-partying campers just recharged enough to hit it again. Kicking things off for us (aside from booze) was the much-hyped Azealia Banks, whose expletive-driven set at the Gobi Stage was almost as insane as what was unfolding at the Mojave Stage. Punk rockers the Black Lips were pulling out all the stops for their set, including ahem… actually whipping it out. 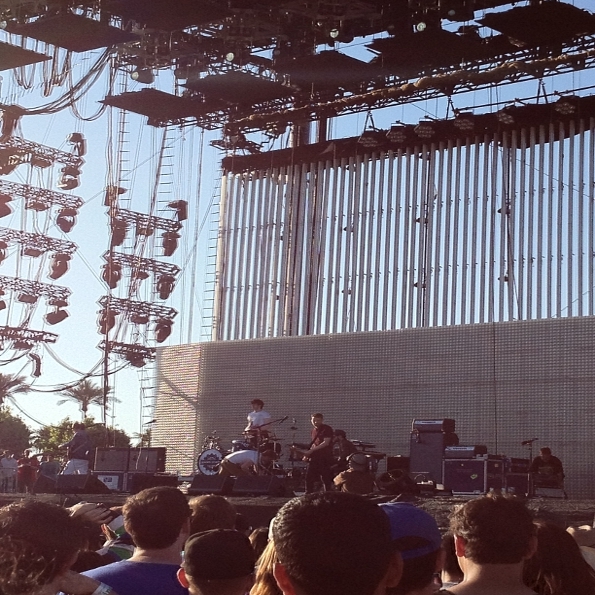 Black Lips are known for their crazy antics and their set at Coachella proved no different. Fans went crazy while many streamed out. Plenty of folks came back for The Big Pink, whose solid set included a nice mix of old and new songs, including the mesmerizing “Hit The Ground (Superman)” off their latest, Future This. After a bit of more exploration, including an awesome trip to the Red Bull Speakeasy, one of this owl’s favorite bands to see live took the main stage. Led by the egocentric and energized Aaron Bruno, AWOLNATION is a hard mix of dirty electro-rock and fervent vocals. Bruno really is the band’s fearless leader, and successfully orchestrated one of the most brutal of dance parties at the main stage. Though just one album strong with 2011’s Megalithic Symphony, AWOLNATION are a treat to see in person. If band dynamics don’t falter, be ready for one hell of a ride on their next release. 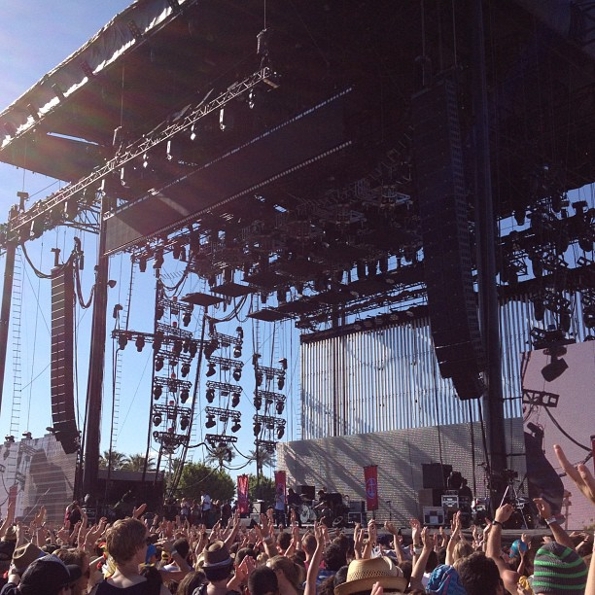 Day two of Coachella also yielded better sound at the Outdoor Stage, which fell victim to the unforgiving desert winds the day before. 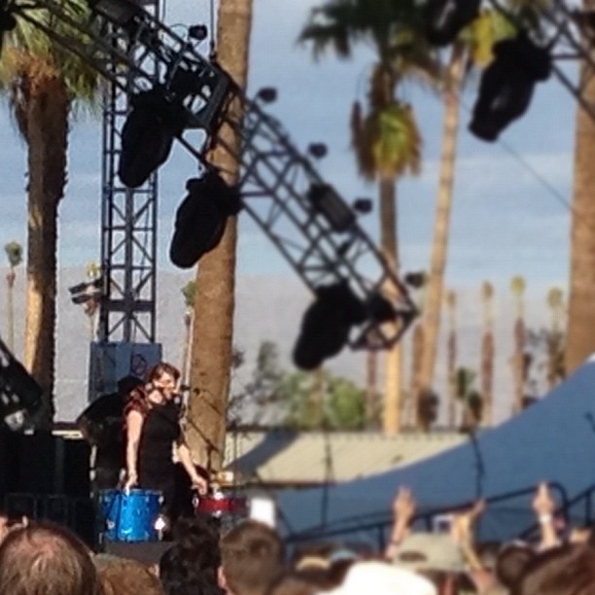 The mesmerizing tUne-yArDs played to a decent-sized crowd mid-afternoon while the weather was still pretty pleasant. Frontwoman Merrill Garbus kicked things off with her hit “Gangsta,” cued up the loops, and rocked out with everything from percussion to ukelele. Midway through we headed to the constant party of the Sahara tent for Zeds Dead, then back to the main stage for Kaiser Chiefs. Kaiser Chiefs frontman Ricky Wilson cemented Day 2’s theme of adrenaline, darting straight to front of house and hamming it up for the stage right cameraman before racing back and closing things in a sing-a-long of their first single “Oh My God.” My stage-hopping continued as I went back to the Outdoor Stage for Andrew Bird, who confidently opened things with material from his latest album, Break It Yourself. Bird even whipped out a cover of “It’s Not Easy Being Green” and proved just as dextrous on violin as with vocals. Despite a warmer day, the evening proved a little bit colder and we were good and bundled by the time The Shins took the Coachella Stage. In this owl’s usual manner of full disclosure, I’m a Shins fanatic and can’t say enough about their live shows. James Mercer and company had just enough time to play hits “New Slang,” “Phantom Limb,” and “So Says I,” along with tracks from the recently released Port of Morrow. The Shins are more of a band to see on their own, though, and part of the set felt like just going through the motions. 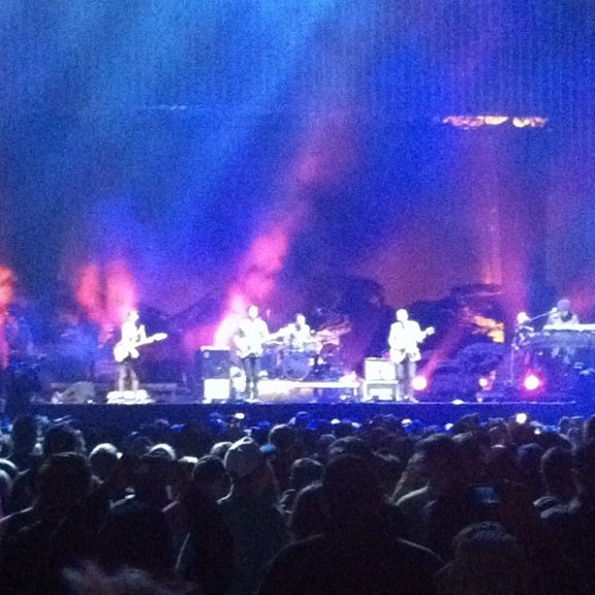 They really hit their mark with closing song “Sleeping Lessons,” though. 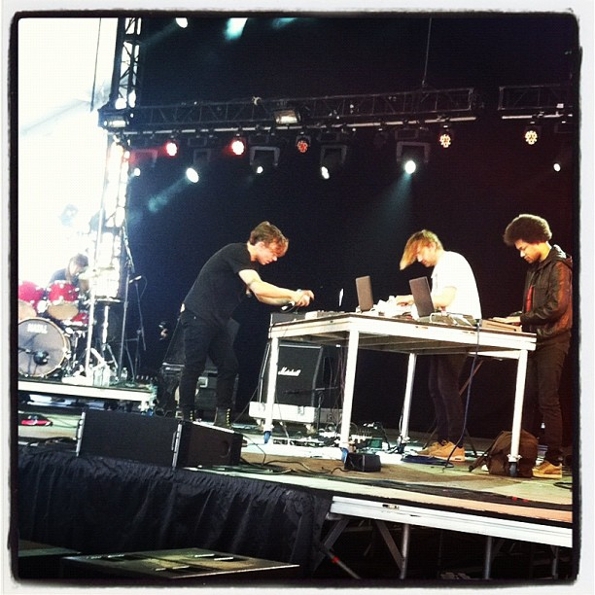 The Owl Mag favorite Bon Iver took the stage next and picked up the adrenaline run of things almost immediately. Those used to a more mellow sound were absolutely rocked by impassioned renditions of “Skinny Love” and “Blood Bank.” Headliner Radiohead also did not disappoint. Their stage set-up was expansive, including three smaller screens above it all, displaying all sorts of graphics including what at one point looked liked Thom Yorke making out with himself. Swagger at an all-time high, Radiohead made the bravado all warranted with an epic set that lasted well into the late evening. Check out our Day 1 review here. And don’t forget to follow us on Instagram — @theowlmag!